Every hobby starts with a hat, when stalking deer hats keep you warm and give you something to catch the rounds in when you unload the rifle, when fishing they keep off the sun [and more usually the rain]. 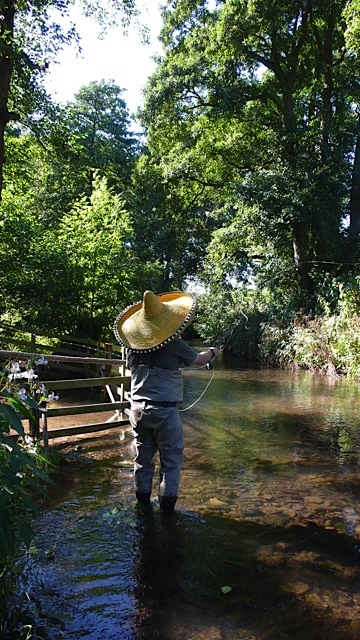 Here I'm using a Sombrero as a training aid, the brim largely prevents overhead casting, entraining me in the art of the 'scrappy side cast' which will may put a fly under the overhanging bushes and trees which line the banks of the tributaries. Opps that's another half hour untangling! 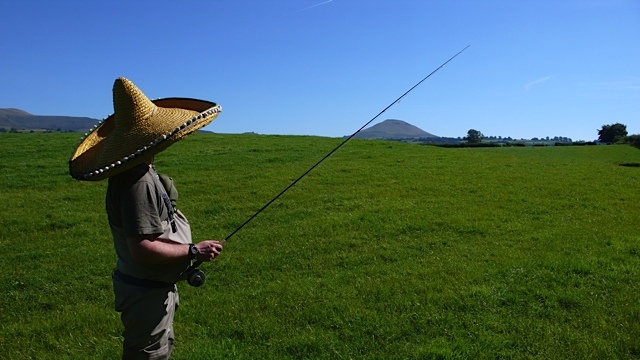 While we're on the subject of untangling I'm not sure if fishing causes divorce but its certainly one of its benefits, various chaps we invited to join us were 'mysteriously' busy after expressing initial enthusiasm. As we canvased our friends looking for accomplices to join us on the trip, I noticed a new found unpopularity; with our talk of new GF's and fishing trips we were perhaps sounding a little too much like an escape committee, or at the very least Rebel Forces. To be crushed under the jackboots of the Empire. “Suckers, same as last week, I just set the alarm for 3am when it goes off I give her a nudge and say her Frolicking or Fishing? She said ‘Wear a hat, it’s cold out there’”. On the subject of 'Conchita has left me' and hats. For those of us of a certain age, the Sombrero will always be synonymous with the now much missed 'Bandit' bar of our youth. Remember this one?